Sherlock returns to our screens on New Year’s Day. We found out a few things you might not have known about the man behind the iconic character. As Sherlock prepares for a return to our screens over the festive period, we take a look at the man who created the crime-solving character. We found out a few things you may not have known about the author. 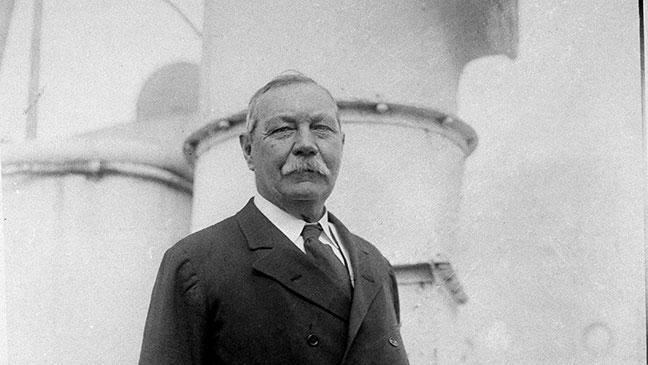 The author was born Arthur Ignatius Conan Doyle on May 22, 1859, with Conan being one of his middle names. He began using Conan Doyle after graduating high school. Doyle studied medicine at the University of Edinburgh until 1881 and began writing short stories during his studies. His first academic article was published in the British Medical Journal and was called “Gelsemium as a Poison”. The Daily Telegraph later described the article as potentially useful in a 21st century murder investigation. He was a staunch supporter of compulsory vaccination and wrote articles in support of the practice. After moving to Davos, Switzerland, Doyle was among the first to make the 8,000ft pass through the Maienfelder Furgga, which separated Davos and neighbouring town Arosa. He was the first Englishman to document the joy of the sport. In his native Scotland, Doyle stood for election first in Edinburgh in 1900, and later in Border Burghs in 1906. He represented the Unionist Party and despite receiving a good share of votes cast, he failed to be elected on both occasions. When the photographs of the Cottingley Fairies first circulated, Doyle, a spiritualist, was very enthusiastic. He initially used the photos as the basis of an article in The Strand magazine, which subsequently formed part of his 1922 book, The Coming Of The Fairies. Credit to Eleanor Lees of BT.com. Source.